The prize was first established in 1972 to encourage particularly “open-mindedness” and “humility” on the “possible character of ultimate reality and the divine”. 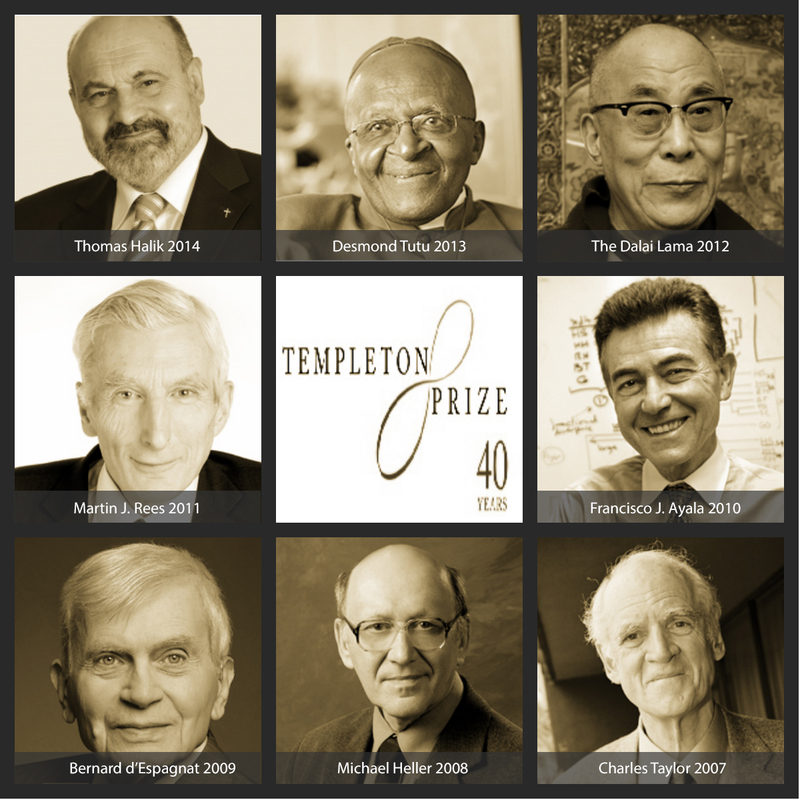 Furthermore, the Templeton Prize and the John Templeton Foundation are “to stand apart from any [particular] consideration of dogma or personal religious belief[s]”. Laureates must be “innovative, creative, enthusiastic, and open to competition and new ideas in their approach to the Big Questions” — scientific notions which include “complexity, emergence, evolution, infinity, and time”, and the ethical and spiritual include “basic phenomena as altruism, creativity, free will, generosity, gratitude, intellect, love, prayer, and purpose”. For more information about the John Templeton Foundation and for “The Philanthropic Vision of Sir John Templeton” click here. The following is a list of Laureates of The Prize since 2007 (it is noteworthy that there has not been any female Laureates in the last 30 years, going as far back as 1981). We will be covering here at Integrating Horizons not only the following Laureates and their work but also devoting attention to the few female Laureates that have been recipient of The Prize. To be successfully nominated for The Prize, the candidate must possess a “substantial record of achievement” highlighting “one of the various ways in which human beings express their yearning for spiritual progress”. The candidate’s work must be considered as a whole, not merely through selections. Any person may nominate a candidate. The deadline for submitting the 2015 nominations is July 1st 2014 (11:00 PM EDT). The nominations are submitted to a panel of judges composed from diverse “academic disciplines” and “religious traditions”. A list of current and past judges may be found here. We will be featuring here on Integrating Horizons a special series of posts relating to the announcements for the 2015 Templeton Laureate.